Looks delicious! I love Angel Food Cake with fresh berries!! This is so cute! Perfect for the 4th! And I love angel food cake... so good! So simple! Yet, it looks delicious! I think this will be the dessert I bring to the BBQ for the 4th. Put the fruit between the layers... genius!! this sounds so goooood!!! Oh that looks delicious! Perfect for this time of year! This looks SO good! 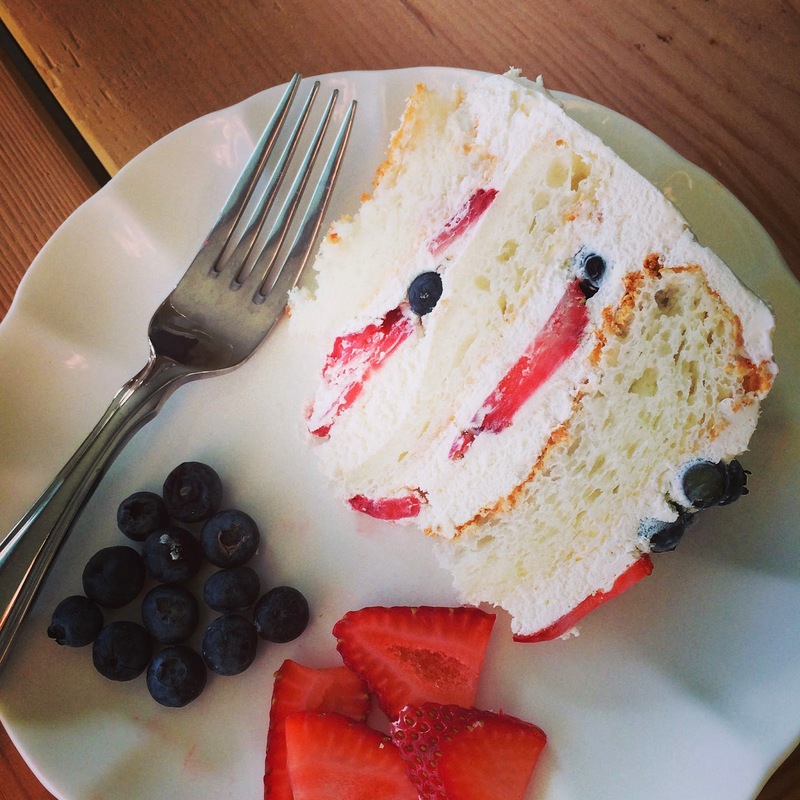 Angel food cake is definitely one of the best summer desserts! Love how pretty it looks too! Definitely trying this recipe!! Love!! Yummmm, yummmmm, and yummmmmmm!!! I would be the one that would be feeling ambitious and then totally regretting it halfway through the process lol! This looks delicious!! Perfect for this time of year :) love angel food cake! Perfect for a 4th of July party we are going to! Yummy! This looks super easy. I like that included links if we're feeling ambitious haha! I've never made anything like this, but it looks perfect for the 4th! Ugh, I love your food pics!! Wow this cake is absolutely gorgeous and looks so delicious! Great job!! 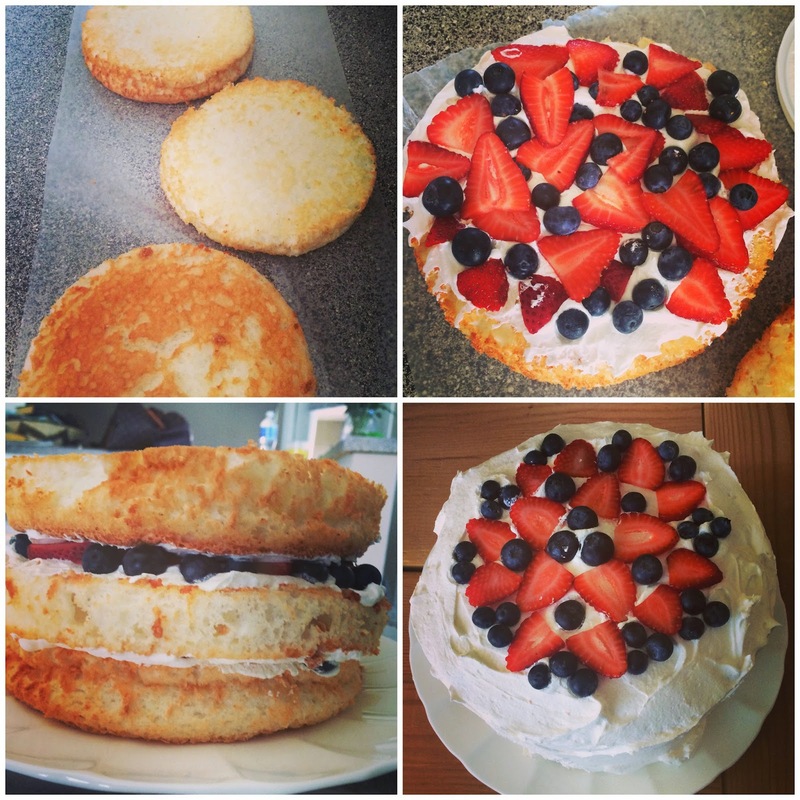 I have been all about angel food cake and fresh fruit lately. This looks delicious! I think I'm gonna make it next weekend for the fourth. Thanks for the inspiration! Looks great, as all your recipes always do! Your husband is one well fed lucky guy! I will be trying this soon....yum!!! And good luck with the move! That looks so easy that even I could do it without messing it up.. maybe. I'm definitely going to give it a try! YUM! Yummy, refreshing, and better for you! annnd you're after my own heart- angel food cake is my absolute favorite even by itself let alone with fruit! Love! This is so stinkin' cute & perfect for the 4th. Thanks for sharing at DDT Lisa, another tasty & cute looking dessert!